Ever wish you could receive photos, documents, and other files from people straight into your Dropbox? Well, you can do just that with Dropbox’s file requests. This new feature allows you to get files from people — even from those who don’t have Dropbox accounts themselves. These files are delivered directly to any Dropbox folder of your choice. It really is that simple. This week, first attempt at using DropBox's new 'file request' for collecting homework. I like it a lot, saves on needless one-line emails. To start requesting files, visit the Dropbox requests page or open Dropbox’s Web interface and click on File requests in the sidebar. On the next screen, click the Create a file request button. You can then specify a title for the files you’re requesting and the folder in which you want them to go. Fill in those details and click on Next. You should now get a unique file request link. Share it with the people you want to collect files from. Dropbox will even email them the link for you if you just type in their email addresses. Complete the file request process by clicking on Done. Rest assured that the files you receive will be private. Only you can see them. It’s a convenient way to receive files 5 Unique Ways to Upload Files and Share Files 5 Unique Ways to Upload Files and Share Files Quickly: send me a file! Even in 2015, file sharing isn't quite solved yet. Cool Websites and Apps brings you five novel file-sharing tools. Read More , wouldn’t you say? 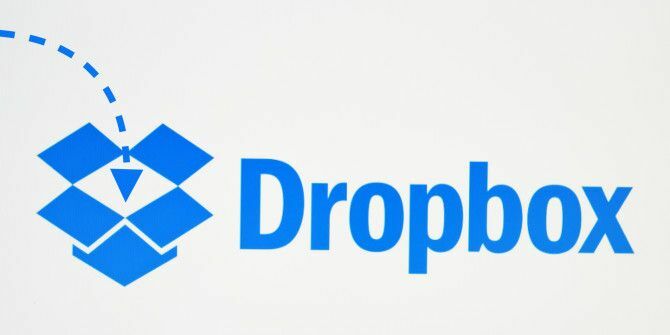 Were you aware of Dropbox’s file request feature and do you use it? Or do you use a third-party service to receive files instead? Tell us your preference! Explore more about: Dropbox, File Sharing.